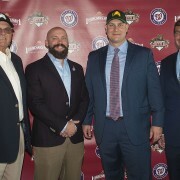 The Fresno Grizzlies (Triple-A, Pacific Coast League) have signed a two-season Player Development Contract (PDC) with the Washington Nationals. Washington, a perennial playoff contender in the National League East, has won that division four of the last six seasons (2012-2017), finishing no worse than second place during that span. The Nationals’ player development has been exemplary as well, counting current MLB superstars like 3B Anthony Rendon, RHP Stephen Strasburg and OF Bryce Harper among their homegrown talent, critical to their sustained run of success. Very recently, 19-year-old big league rookie Juan Soto has taken the baseball world by storm. The outfielder, with 64 RBI this season (in 104 games as of September 17) has the most runs driven in by a teenager in the Majors since Mickey Mantle- in 1951. Soto is just the third teenager in the history of Major League Baseball to hit 20 home runs in a season, with two weeks remaining on the schedule. 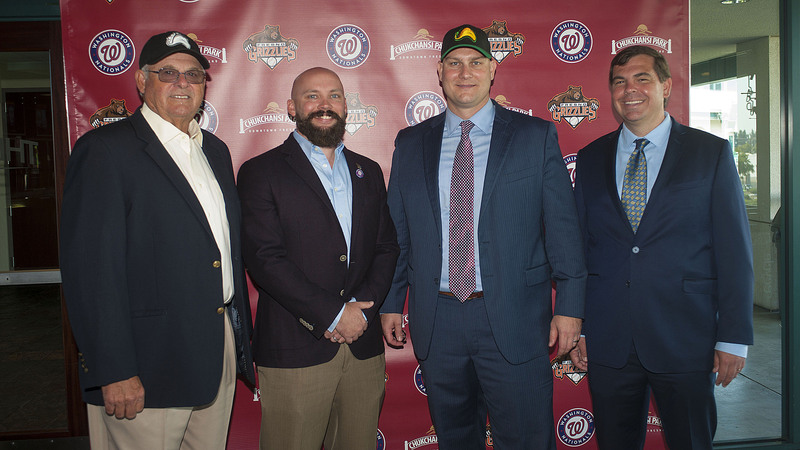 This exemplary player development figures to continue as Washington transitions their Triple-A operations to the Pacific Coast League and Fresno. The Nationals’ PDC recently expired with the Syracuse Chiefs of the International League, as did the Grizzlies’ with the Houston Astros following four seasons (since 2015). Washington had been with Syracuse since 2009. “This is another thrilling new chapter for Fresno Grizzlies baseball- we can’t wait for the Nationals to get on the ground in Central California and see everything this community has to offer,” said Derek Franks, Fresno team president. “Our new ownership group is continuing several upgrades to both the fan experience and baseball operations facets of Chukchansi Park that began during our previous PDC with Houston, including plans for a brand new playing surface in 2019. I believe the Washington Nationals will find this a comfortable place to cultivate all of their young talent, and will see early on how committed the fans of “Growlifornia’ are to baseball in the Central Valley,” continued Franks. Washington has enjoyed abundant team success on the farm in the last decade as well. At all minor league levels Class “A” and above since the 2008 season and including 2018, Nationals player development has produced 18 playoff clubs and three MiLB Championships. Fresno’s Triple-A franchise began play in 1998, and was affiliated with the San Francisco Giants from that season through 2014. Washington is the third MLB club to affiliate with Fresno in 22 seasons. Of the 15 other franchises that currently comprise the PCL, nine have had multiple Major League affiliates during Fresno’s time in the league. Five cities (Albuquerque, Las Vegas, Nashville, New Orleans and Oklahoma City) have had three or more Major League affiliates dating to 1998.